Boss Man’s note: We’ve got one last race to finish the year, and it seems we’ve saved the best – or at the very least: the toughest – for last. 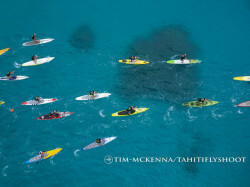 IRONMANA is a week-long, multi-discipline race in the postcard-perfect Tahitian islands. 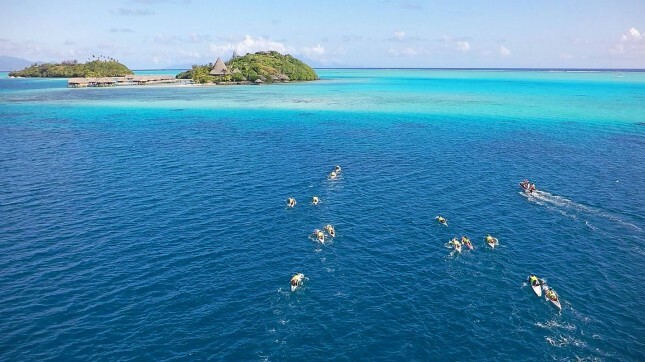 This year the event moved from Bora Bora to the equally epic Huahine, and once again it’ll feature a smorgasbord of tough racing including SUP, prone, outrigger and swimming. 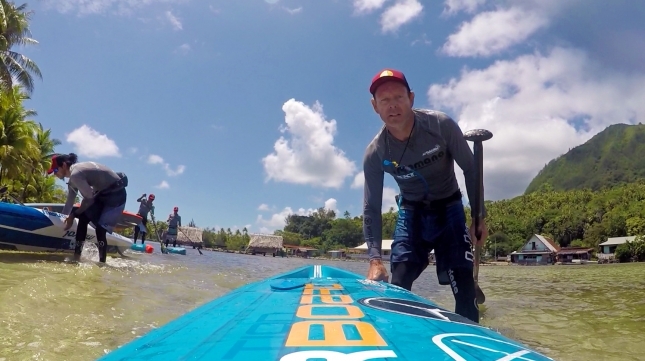 Welcome to our live coverage of the 2015 Ironmana challenge on Bora Bora. 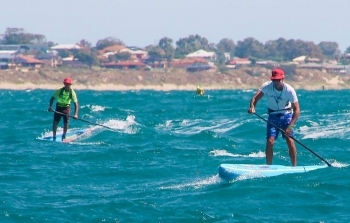 The Ironmana event is part race, part torture test, with competitors subjected to five days of grueling events in one of the world’s most paradisaical locations. 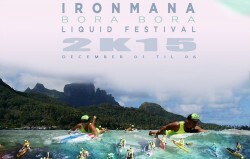 The official dates (and teaser poster) for Ironmana 2K15 have just been released, with the world’s toughest SUP race set to return to Bora Bora from December 1st-6th. That gives you exactly 304 days to train, of which you’re going to need every single one. If you want an insight into how crazily awesome the IRONMANA race/adventure/week in paradise really is, watch this half hour film from last month’s epic event on Bora Bora. Last week I was privileged to spend a week on Bora Bora – the iconic island getaway that everybody is familiar with from every single travel show ever. Though it wasn’t sipping cocktails and relaxing on the beach, instead my time on the island was a series of punishing ocean races known as the Bora Bora Liquid Festival, aka Ironmana. UPDATE: Event is finished so the live blog has been wrapped. Thanks to the Stephan Lambert and the rest of the organising team for the week of punishing racing in what can only be described as an absolute paradise. 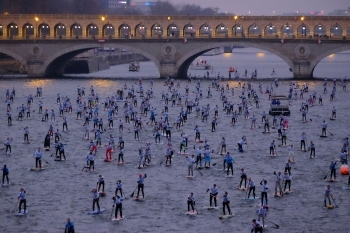 The Ironmana is definitely a bucket list race that you need to experience first hand. Here’s a nice clip looking back at the 2014 Kainalu XT race series in Tahiti. The KXT series is a prelude for the big Ironmana race that’s happening in early December, an event this video gives us a nice insight into. You’ve seen the photos, you’ve been teased with the trailer, now here’s the full length clip from IronMana 2013, aka one of the gnarliest races on the planet. Watch this video, because there’s a good chance it shows where you’re going to be in 11 months time. If you’re currently located in a cold part of the world you probably should look away right now, lest you succumb to an intense bout of jealousy. It’s not just the last big race of the year, it’s the last big weekend of the year.